We’re delighted to share our June Student Ambassador Spotlight! This month, we’re featuring three students from across the country – from New Jersey to Iowa to Wisconsin – who have shared their experiences learning Mandarin and studying in China. 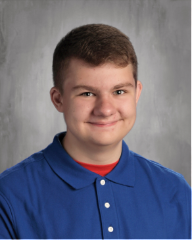 Franklin Breu: Franklin Breu of Janesville, Wisconsin, attends Joseph A. Craig High School. With support from the Asia Society, Franklin became a Student Ambassador and established a Chinese club at his high school – the first such club at the school – and, as president, planned community outreach events and developed other ways for his classmates to learn more about Mandarin. 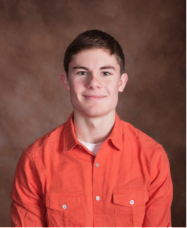 Alex Duff: Alex Duff was nominated to be a Student Ambassador by his school, the University of Iowa. In his hometown of Volga, Iowa, Alex met with students at the local middle school to talk about China study abroad opportunities and his own experience through the State Department’s National Security Language Initiative for Youth (NSLI-Y) program. He also created five unique presentations tailored to five different classes’ interests and questions. 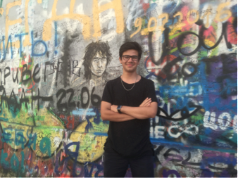 Stanislav DeLaurentis: Originally from Plainfield, New Jersey, Stanislav (Stan) DeLaurentis became a Student Ambassador with help from the Asia Society and attends the Wardlaw-Hartridge School in Edison. He made a video-blog, or vlog, of his trip to China and visits to sites such as the Forbidden City. Stan’s vlog illustrates the full circle of China study abroad, beginning with his flight overseas and taking viewers throughout the country as if they were walking and exploring side-by-side with him. Thanks to the Asia Society, University of Iowa, and NSLI-Y for supporting students like Franklin, Alex and Stan who promote the importance of Mandarin language learning and China study abroad. 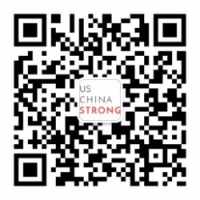 We’re so grateful to all of our Signature Partners, Student Ambassadors and supporters, and to everyone who has signed up on our WeChat Official Account to expand people-to-people ties between the US and China.